The work on the Butterfly Sanctuary is progressing well. Seventy five percent of the invasive Ipil Ipil (Leucaena leucocephala) has been removed and the balance 25 percent will be removed by the end of April. A pond has been dug and it’s now in the process of having the banks shaped and filled with natural mud to make it waterproof. The first batch of host plants has been planted. The selection, procurement and planting of the second batch of host plants are in the planning stages. Fifty percent of the footpaths had also being completed. This is taking a bit longer since we are making sure these paths do not intrude into butterfly habitats. The footpaths are laid in a manner to provide the least intrusive access to observe butterflies without disturbing them. An irrigation system to keep the sanctuary irrigated during the dry season is being installed and will be also completed by the end of April. Documenting of species both plants and butterflies is ongoing. We are very excited to record another additional butterfly species, the Dark Wanderer (Pareronia ceylanica ceylanica) belonging to the family Pieridae now present in the Butterfly Sanctuary. This brings our current list of recorded butterflies to 18 species since we started work on the Butterfly Sanctuary. We have identified twenty four species of host plants but this not a complete list by any means. The identifying of existing host plants as well planting new host plant species is ongoing. This is a current list of host plants that are in the sanctuary that have been identified. We would like to say a sincere thank you to Spa Ceylon for supporting the Butterfly Conservation Project, Dr. Michael and Nancy van der Poorten for their invaluable advice, knowledge and guidance and to our volunteers for their support to our wildlife research and conservation efforts. Please stay alert for further updates on the progress of our Sri Lanka Butterfly Conservation Project. 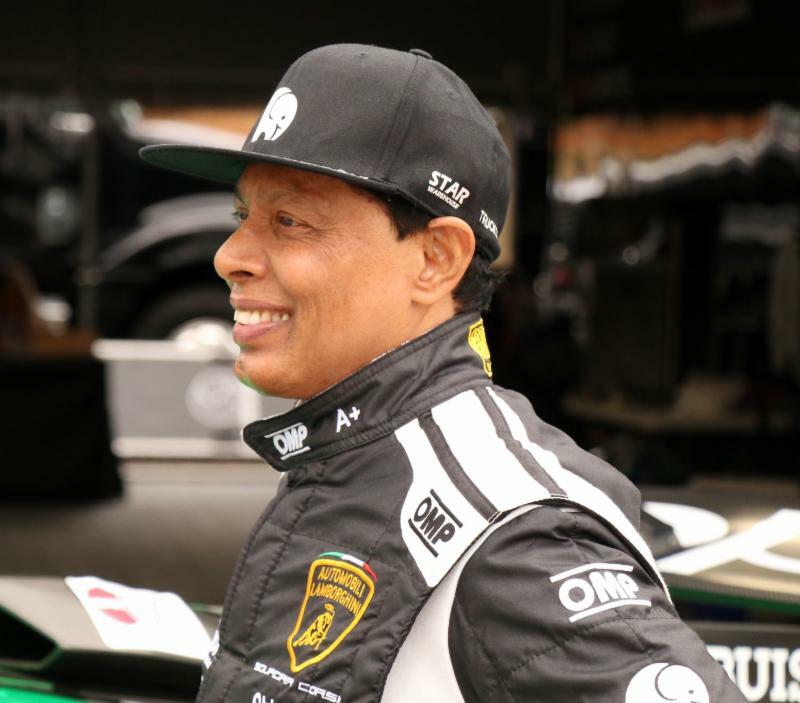 Leeds, Ala., April 7, 2019…Driver Ron Atapattu returned to a Lamborghini cockpit this weekend at Barber Motorsports Park for the inaugural 2019 IMSA Lamborghini Super Trofeo North America race. He drove the No. 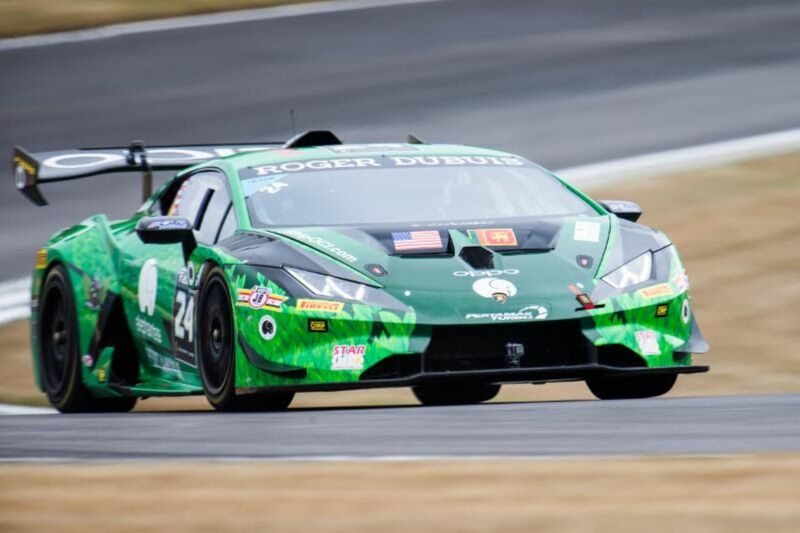 24 elephantea/ShipOCI Lamborghini Huracan Super Trofeo Evo to a fifth-place finish on Saturday and a sixth-place finish on Sunday in the LM Cup class in the doubleheader race weekend. The veteran racer last drove a Lamborghini competitively in 2001, and it was a Lamborghini Diablo SVR in the SRO Lamborghini SuperSport Trophy. This year Atapattu has taken on the challenge of the 12-race Super Trofeo series across North America and the season finale in Spain. As a single driver in the LM Cup class, he is the solo driver for the entire race. Other classes within the series conduct a driver change. "It's great to be back in a Lamborghini," said the Boca Raton, Florida resident. "The car is so racy that it's tempting to overdrive this car. So being within the limits of my driving skill and the car's handling in the challenge. It's a very competitive event." In Saturday's 50-minute race, Atapattu lost the opportunity for a good finish when he was assessed a drive-through penalty in the second half of the race. Atapattu was glad to be back behind the wheel and accepted his finish and lesson learned and was all the readier to return to the track on Sunday. "The first lap was like a stampeding herd of elephants running in the wild," said Atapattu, an elephant conservationist. "It's a great feeling to be back with Lamborghini. I'm enjoying all the racing and I think that without the drive-through we could have had a podium." Sunday's race produced a sixth-place finish and another 15th overall finish as the temperatures reached low 80 degrees F, and even hotter in the cockpit of the beastly Huracan with a Lamborghini V10 5.2cc engine with 620 hp. "Today was probably better than yesterday's race," added Atapattu. "It was very hot in the car and asa solo driver, it takes a lot out of you; and towards the end of the last few laps I was feeling quite hot. Nevertheless, it was very good. I was battling a few cars, but I never got close enough to pass them and then the leaders came by, so I lost a bit of pace, but overall, I was trying to produce consistent laps rather than working on top speed. "I think the racing was pretty good as I was getting used to the car and I think I can pick up more speed as I go along and get more driving under my belt. This is just the first event of the year. In both races I finished the car with no off-track excursions, no going in the grass, no gravel. Keeping the car on the track is key. All weekend long we had no issues so I know we can probably increase the speed a bit in my driving, but it was a new car and new track for me so overall it was a good weekend. "Being a single driver through the race and not doing a driver change has its pluses and minuses. The negative is that it's quite overwhelming being in the heat that long during the race. The positive is that you are stable in the car. You can basically get dialed in on your lap times and look for consistency. "I'm looking forward to getting back on track at the next race to see if we can bring the Elephantea car home with our first podium finish of the season." The next IMSA Lamborghini Super Trofeo North America series race is at Watkins Glen International in Watkins Glen, N.Y. on June 28-29. 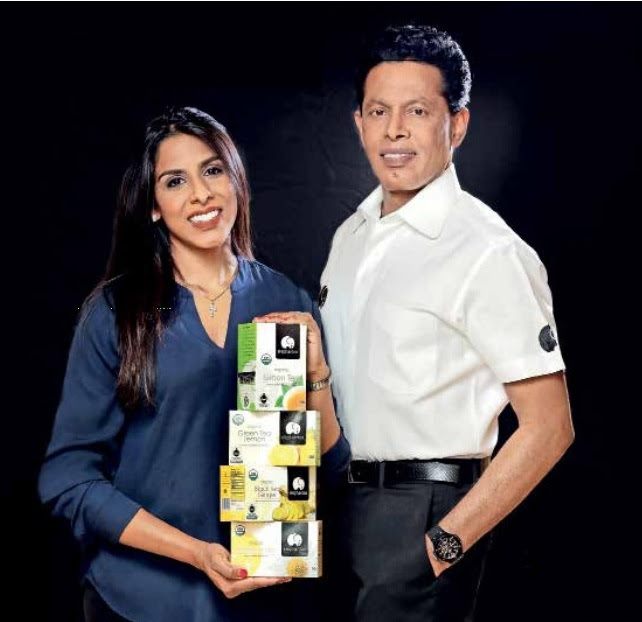 Ron created eTeaRacing as a marketing opportunity to promote his elephantea brand of organic Ceylon teas from Sri Lanka with proceeds going to an elephant conservation programs. The elephantea brand, started by Ron and his daughter, Shani, is certified organic, fair trade and kosher. The parent tea company, Bogawantalawa, is one of the few single source tea companies that grows, hand picks, processes and packages the tea leaves from its over 17,000 acre, 160-year-old tea plantation. Ceylon teas from the Golden Valley of Sri Lanka are considered the finest teas in the world. The plantation's teas are currently shipped to over 25 countries across the globe. For more information, please visit elephantea.com or see our racing social media atFacebook/eTeaRacing, Twitter/eTeaRacing, and Instagram/eTeaRacing. I spent 2 weeks with SLWCS. I met some lovely people and had lots of fun. I enjoyed the dorms, and although there are walls, they aren’t joined to the roof, so it’s rather lovely having that gap and falling asleep and waking to the sounds of nature. The cold showers are a blessing at the end of a session of tree planting or vegetation slashing and clearing. The Field House domestic staff can’t do enough for you, and the guides and drivers are local and therefore extremely knowledgeable about their environment and the area covered by the SLWCS. The conservation staff often defer to their knowledge and they all work extremely well as a team. I learned a great deal about wild Asian elephants, and how human/elephant conflict has untold financial, environmental and sometimes tragic consequences. SLWCS is trying to find ways to solve this problem, sometimes with innovative ideas, for example planting orange groves, as elephants hate citrus fruit and will hopefully avoid such vicinities. They are all passionate about their work, and I hope they are able to continue this necessary work for the foreseeable future. We just spent one week in the Fieldhouse but it was enough to make incredible new friends, to meet locals, to help the people around, to plant trees, to play a lot of cards, to eat really good food, to see elephants, learn something about them, and to had an amazing experience. It was enough but we could have stayed one more week…or two. We are really sad to leave, everybody was so nice to us, smiling all the time and they let us be part of their life. After one week, we can say that we will really miss that place and the people. Keep up with the project, we will definitely recommend it to everybody and looking forward to come again. Lot of hugs. I spent two weeks at SLWCS. I wanted a totally different experience to what I’m used to living in the French Alps. I also wanted to help toward elephant conservation. It certainly was so different to what I’m used to and has been a wicked experience. The accommodation was great and curry everyday was awesome to someone who loves curry. I loved the elephants. And would have loved to have seen them much more but understand you won’t see them everyday as I thought you might before coming. I spent 2 weeks with SLWCS in there Field-house. Where I met many awesome people from all over who were a great laugh and a pleasure to work alongside. The staff were incredibly friendly and helpful with any issue you had. The conservation work is fun and rewarding but tiring in the heat, the field staff are very knowledgeable about their projects and wildlife. Seeing the wild elephants was definitely the highlight of my time here. I would definitely recommend this program to anyone. We’ve spent almost three weeks here and have really enjoyed it! The organization is so important; the locals really appreciate the work done by SLWCS. The staff who run the program are all so lovely, many of them grew up in the village we’ve been working in so know everything there is to know. The tasks have been engaging and diverse, from making a butterfly garden to carrying out dung analysis. The afternoons have been spent up at the tree huts overlooking the elephant corridor which is very relaxing, you don’t always see elephants but makes seeing them even more special. The field house has incredible views, it’s so peaceful and has a very welcoming feel and the food here is really good too – it’s traditional and all freshly made. We’ve made some amazing friends and had an incredible time, we’re sad to be leaving and very grateful to all the staff who made our trip so great. The SLWCS is an effective, worthwhile conservation organization to support! My reason for coming was to contribute to wildlife conservation instead of a typical vacation. Also to see first hand what they are doing to conserve incredible animals like elephants, wild cats, and butterflies. The dormitory like accommodation was fun, and rustic. Meeting a variety of people from all over the world adds to the experience. We spent two weeks with SLWCS. We enjoyed our stay and had a really great time in the field house. We met great people and had lots of fun. The work was interesting, informative and sometimes exhausting but we learned a lot about the elephants, environment of this area and the culture. The people are very friendly and the staff is attentive and helpful. The accommodation facilities are simple but we get used to it after short time. Summarizing it was a great experience and we won’t like to miss this wonderful time. We really loved discovering the life of the people here and when we saw the elephants for the first time, it was a moment that we never forget! Thanks to everyone who make this experience beautiful! An amazing project with amazing people. I spent almost two weeks here and I have seen and done so many things. Joining this project allows me to have a better understanding of the reality, the culture and the issues of the local people and the work of the organisation. This organisation really wants that the volunteers understand each part of the work so they inform us, they come with us, they respond to every question. The work is different every morning so we learn more every day. The afternoon is free so it is the time to know better the other volunteers or the staff. Going in the tree huts in the afternoon is nice too but you never know what is going to happened. The project concern elephant but it is possible to never see one from the tree huts. It can be disappointing but it also shows that the organisation respects the wildlife of these animals. So, these two weeks were an incredible experience full of discovering with people who care about you and about what they do. A wonderful experience hosted by wonderful people. Very impressed with the efforts made to reduce the elephant/human conflict. Meeting people from all over the world and working with the people of Sri Lanka were great gifts. Thanks for everything. Wow, a whole week past by so quickly. I had the luck to spend some unforgettable days here, with people who made my experience much better. I really enjoyed the times at the tree house hut where we watched out for elephants, or the morning ride in the Bus to bring the local kids to school were a great experience. Thanks to the staff who always supported us, explained everything that we not just heard it, they really want that we understand what they are telling us. I am thankful for the time I spend with that Organisation and could be a helping hand. Its great to see that this project is working and helping with the human/elephant conflict. We have met some lovely people, volunteers and staff, and enjoyed working with them, even in the butterfly garden! Seeing elephants in their natural surroundings was an experience to be treasured and one we will never forget. A huge thank you to everyone involved and we wish you all the best for the future. We have spent two great weeks here. We could attend many activities that would help the people in the surrounding villages to avoid conflicts with elephants. We especially liked to join the surveys where we could ask the people directly how they live with elephants that still may come every night to their houses. It is interesting that they all still love elephants, despite all the destruction. We also enjoyed all the friendly people of the project team who made us feel like in a big family. Sometimes we have seen elephants in the afternoon either on the tree hut or in the paddy fields. If not, we used the time for homework. Much more elephants we have seen in the Wasgamuwa National Park, it was so beautiful, so that we went there twice. We wish all the best to this project and will be curiously following how the orange trees grow, how many butterflies come to their new home, if the fence will be improved, if the people will start to capture rain water from their roofs for dry season and how elephants and people live peacefully next to each other. I spend a week here with SLWCS and really enjoyed the experience. The accommodation and food was great and we saw lots of elephants! I felt like the projects they are working on are worthwhile and its good to know the locals appreciate the help. I would definitely recommend this to a friend as it was a very unique opportunity. I will miss all the friends I met here! I spent a week with the SLWCS team and I would have loved to stay longer. I had a wonderful time here and learned so much about elephants and other mammals and birds of Sri Lanka. The place feels like magic and I am sure to come back sooner or later. The project also allowed me to get to experience the life of Sri Lanka’s farmers and see places that you wouldn’t find in any travel book about the country. The food at the field house is very good. I enjoyed every bite of it. I am really gonna miss this place and I am already planning to come back this year to enjoy more time in this peaceful and wild place. What an amazing experience! Thank you so much for such a fantastic week! So well organized and varied ‘work’ with such a lovely group of people (volunteers and staff) with similar feelings about wildlife and the environmental impact. I learnt so much more about the organization and what you do and how enthusiastic everyone was. My only regret is not staying here longer, sorry, but I really hope to come back and also tell others about it all. Well Done! Thank you so much for an incredible experience. We have learnt lots about your projects and all the good work you are doing here. Also will come away with much knowledge of wildlife and of course the elephants. Its has been the best magical experience to see them in their natural habitat…loved the tree house time. The staff and volunteers are all lovely…we will miss everyone. I spent two amazing weeks with SLWCS and enjoyed my time here. The staff are so incredibly friendly and help make someone feel right at home. Their passion and knowledge on the relationship with humans and elephants is inspiring; it made this experience what it is. Seeing that really sparks interest from someone on the outside, who had no idea what to expect. It’s great feeling being part of an organization that is making a difference. Would recommend this to anyone! So wonderful and hope to come back one day.. maybe when the orange trees have grown! Thank you all so much for everything! 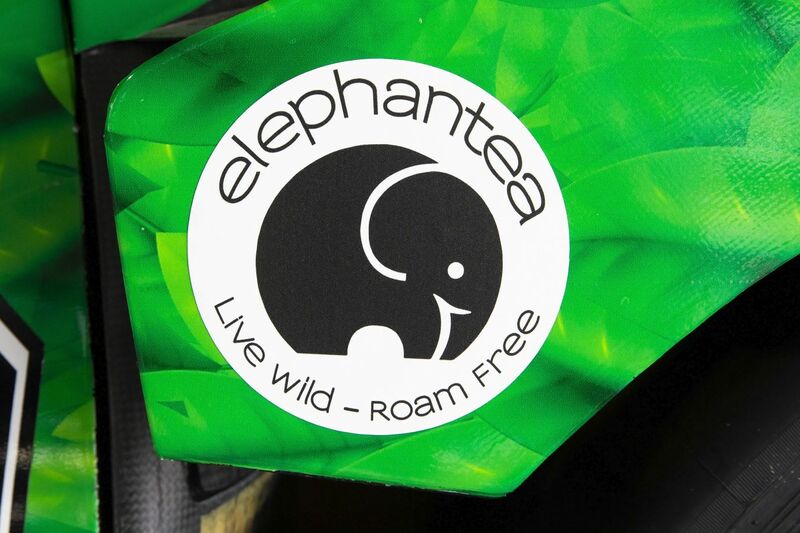 Miami, Fla., April 3…Founder and President of Overseas Cargo, Inc. (ShipOCI.com), Ron Atapattu, has announced his return to professional racing with an exciting platform to market his elephantea, a premium tea company and elephant conservation awareness programs through his eTeaRacing effort. 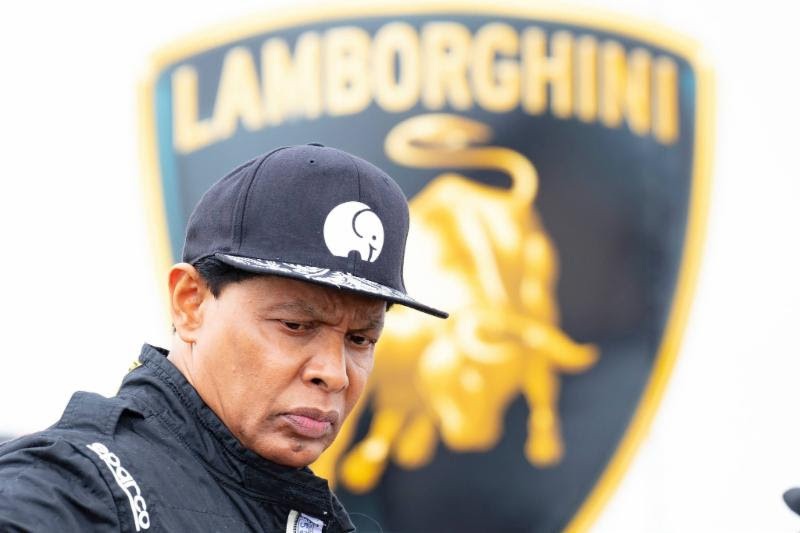 Atapattu will once again compete in a Lamborghini, the supercar marque he achieved much success racing globally in the 1990s. The No. 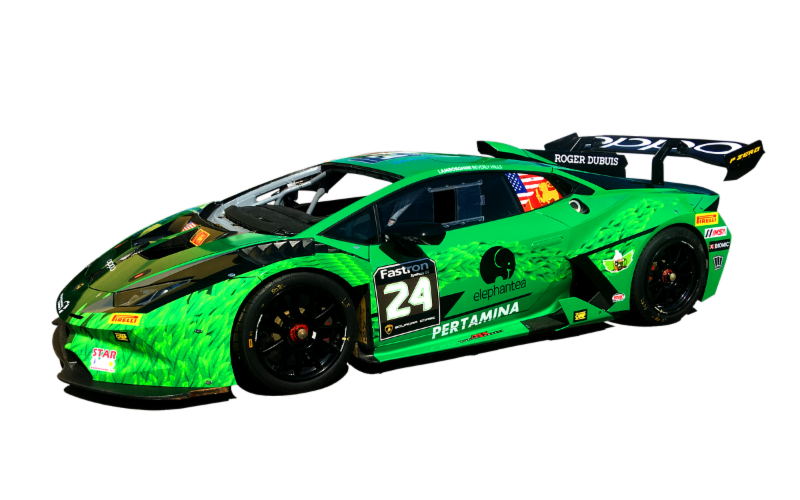 24 elephantea/ShipOCI Lamborghini Huracan Super Trofeo Evo will take to the track for the International Motor Sports Association (IMSA) 2019 Lamborghini Super Trofeo North America series on April 5-7. Round 1 and 2 of the 12-race series will be held at the beautiful 2.38-mile, 15-turn Barber Motorsports Park near Birmingham Ala. During the Honda IndyCar Grand Prix of Alabama. Atapattu first started racing professionally in June 1996 as the only U.S. driver out of 28 in the unique Lamborghini Diablo SVR No. 24 in a special race prior to the 24 Hours of Le Mans. He continued to compete in the Stephane Ratel Organization (SRO) Lamborghini Super Sport Series for five more years as the only American entry. “I’m excited to get back to racing, especially in a Lamborghini, which has always had a special place in my heart and in both my personal and racing garage,” said Atapattu, of Miami, Fla. “The new Lamborghini Super Trofeo Evo is a powerful and highly technical purpose-built race car by Lamborghini and it’s going to be a thrilling season in the very competitive IMSA Super Trofeo series this year. The SRO Lamborghini series racing in 1996 led Atapattu to the FIA GT Championship in 1997, where he captured his first victory in a McLaren F1 GTR at Zhuhai, China. He continued to race the Diablo SVR and collected podiums and Top 5 finishes at international circuits like Nürburgring, Spa, Vallelunga, Brands Hatch and Le Mans. He competed in two 24 Hours of Daytona races with IMSA, as well as Florida races at Homestead and Miami. Atapattu kept his racing skills honed regularly racing in the Florida-based Skip Barber Series, as well as various IMSA races until 2003 when business commitments curbed his racing career. 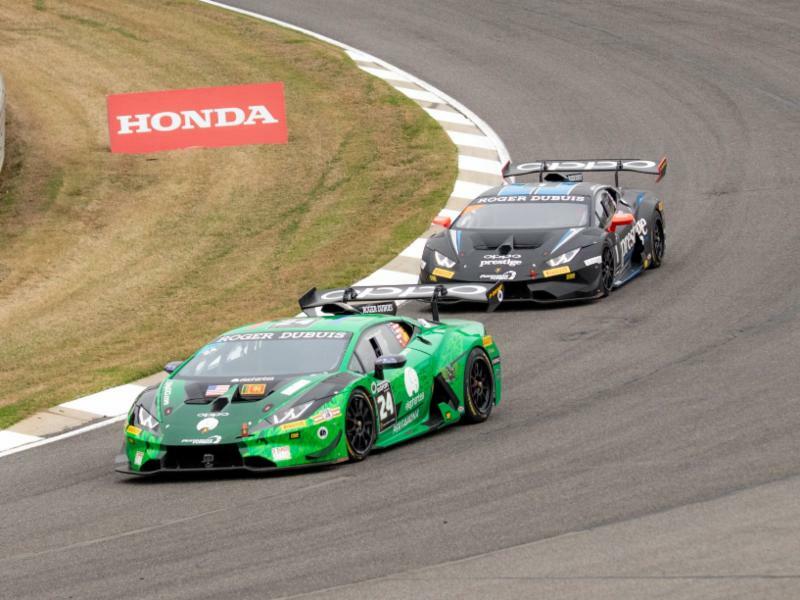 The IMSA Lamborghini Super Trofeo North America series schedule includes: Barber Motorsports Park (Ala.), April 6-7; Watkins Glen International (N.Y.), June 28-29; Road America (Wisc. ), August 3-4; VIRginia International Raceway, (Va.), August 24-25; Laguna Seca (Calif.), September 14-15; and Jerez de la Frontera in Spain (October 25-27). He’s returning to racing through eTeaRacing with a greater cause of giving back to the environment from his youth with a purpose to educate people around the world about the magnificence of wild elephants. US Racetronics Team, a leader in the IMSA Lamborghini Super Trofeo Series, is preparing the No. 24 entry for Atapattu. Team owner, Shane Seneviratne, is also from Sri Lanka and shares Atapattu’s appreciation for the native Sri Lankan elephants, along with an affection for racing. All of these are made possible by the support of valuable sponsors: Lamborghini North America, Lamborghini of La Jolla and ShipOCI. The elephantea brand, started by Ron and his daughter, Shani, is certified organic, fair trade and kosher. The parent tea company, Bogawantalawa, is one of the few single source tea companies that grows, hand picks, processes and packages the tea leaves from its over 17,000 acre, 160-year-old tea plantation. Ceylon teas from the Golden Valley of Sri Lanka are considered the finest teas in the world. The plantation’s teas are currently shipped to over 25 countries across the globe. Ron was born and raised in Sri Lanka and descends from generations of tea lovers and elephant activists. Ron’s uncle, Dr. Shelton Atapattu, was a renowned veterinarian who specialized in elephants, and was a pioneer in elephant conservation. Throughout the years, the natural habitat of these magnificent creatures has been reduced by farming and population growth, where today, the interaction between the people and wild elephants has resulted in human-elephant conflict that takes the lives of an average about 500 elephants a year and about 200 people. The resulting consequences is the herd suffers when they lose a member of the herd, not to mention the loss of human lives. The mission of elephantea is to support the various conservation programs for the native elephants Sri Lanka. The Sri Lanka Wildlife Conservation Society (SLWCS), a U.S.-based non-profit organization committed to developing a sustainable model for wildlife conservation in Sri Lanka. Their focus is on helping people, elephants and other wildlife co-exist peacefully. Their unique, award-winning conservation model brings people together to identify and solve human-elephant conflicts through scientific field research, applied conservation programs and sustainable economic development. Find them at www.slwcs.org and some of their programs below. The New Life Elephant Sanctuary (NLES) will be the first refuge in Sri Lanka for captive elephants. NLES will provide high quality veterinary care and shelter to Sri Lanka’s working elephants (young and old), who have spent their lives shackled in chains, abused and exploited for work and tourism. For many captive elephants in Sri Lanka, lifelong pain, suffering and deprivation are all they have known. Elephants living at NLES will have the opportunity to ‘just be elephants’…most for the first time in their lives. Additional information to come in the near future. In Wasgamuwa, one of the main threats to wild elephants is trap guns and steel wire snares. Camera trapping is one of the most effective field research methods with potential for multiple field applications. Our remote camera trapping program was first initiated for the sole purpose of studying carnivores. As time went by we realized that the camera traps were useful not only to study carnivores but also to gather information on elephants and various other fauna as well. The cameras can be used very effectively to collect information on the health of elephants, especially to identify elephants that have been seriously wounded or injured or in poor overall physical condition. In Wasgamuwa, one of the main threats to wild elephants is trap guns and steel wire snares. There is a very interesting reason for how and why this is so. Elephants are landscape architects similar to humans in many aspects. They are truly the only other species next to humans who can alter their environment very drastically. Elephants are the road makers of the wild—they are bulldozers that create the main pathways in the forests and even in human-dominated landscapes. These paths made by elephants eventually become the main roads for practically all the other animals such as Sambhur, Axis deer, wild boar, leopard, sloth bear and even smaller animals such as civets, mongooses and mouse deer. Poachers use these paths as well to set their guns and traps and this is how elephants get injured by trap guns and snares. Kalum is a young male, very well built with good body condition. Unfortunately, his trunk had got trapped in a snare. While attempting to break the metal snare, it had made a deep cut and a small hole in his trunk. He is fortunate that the wound had not got infected and the lower end of the trunk below the snare did not suffer from necrosis and fall off. He has though lost the flexibility of his trunk. Further strain or injury might cause the lower end of the trunk to break off completely. We have been monitoring him very carefully. For the last two months we had not encountered him in the field, which we were concerned about. However, recently our cameras had taken videos of him in the company of several other males in the forest reserve. Wanni is another young snare injured male that was captured by one of our remote cameras. He was first recorded in 2017 with his injuries. His wound is in a very bad condition. It is a gaping and infected wound. After our first encounter we tried to track him to monitor his condition and also to get an idea where he is most likely to be – but unfortunately we did not encounter him in the field that often. Once when we came across him we immediately informed the Department of Wildlife Conservation and they were able to treat him. Since then, we have not encountered him in nearly two years, and we suspect that he had succumbed to his injuries. This class five juvenile we had not encountered before in the field. We observed it for the first time in 2017, and it already had its’ trunk tightly caught in a noose. The snare had got caught tightly around the middle part of the trunk. In the camera picture, the wound appeared to be very fresh. Unfortunately we have not seen him again. We are hoping we will encounter him again and the wound would’ve healed. If not we will alert the wildlife department vets to treat him. This adult male was captured in one of our cameras while entering a border village. It can be clearly seen in the pictures, that the bottom part of his trunk is about to fall off. These types of injures often result in the elephant losing a part of its trunk. However, if the wound heals and infection does not set in, he would survive. We haven’t encountered him for some time now and hope our cameras will capture him sooner than later. Kuveni is one of the oldest females in our area. She was spotted with this gunshot wound just above the elbow. The wildlife department veterinarians were informed and they were able to treat her. The treatment was successful in healing her wound and we encounter her on and off roaming around our research area with her family group. What we have learned from monitoring elephants using remote cameras is the terrible impact snares and trap guns have on elephants and other wildlife. Our cameras have so far not recorded nor have we encountered an injured sambhur, Axis deer or wild boar it can be assumed that these animals are either killed immediately or do not live for long from injuries sustained by trap guns and snares. Our remote cameras have become a very important tool for our elephant conservation efforts. We kindly request you to continue supporting our research and conservation efforts. We need to deploy more cameras and expand the areas we monitor to provide veterinary care for elephants that suffer from trap guns and snare injuries. The Tree Hut Elephant Corridor where people and elephants coexist. I spent three really nice weeks, all the staff was great, really friendly they make you feel well in the field house and during the activities. I have learned so many things about elephants but also about people and Sri lankan wildlife. The life in the field house wasn’t as hard as I thought, and it’s really interesting and fun to be with the local people, to really discover the culture. All the days were different from the others and each day was really interesting, I had an amazing experience in this program, and I will enjoy to come again!! I had great experience volunteering with the SLWCS. The staff were very friendly and helpful, they were able to answer any questions I had and I learnt a lot about Sri Lankan wildlife. I also enjoyed the beautiful location of the field house. Activities including painting the school and planting orange trees in the village were very satisfying and I enjoyed interacting with the local community. Overall, I had a fun and informative week and definitely hope to come back again! The three weeks I’ve spent here were great. The field house’s location is gorgeous and the open vibe is really cool. The biggest thumbs up goes to all the staff. Very friendly and knowledgable. Even though not everyone speaks English, the language barrier doesn’t really matter. I’ve learned a lot about the wildlife here and the lives of locals. It’s an interesting way of seeing a foreign country, deep down in the countryside without tourists. Seeing an elephant (or even its presence) in the wild here is a magical experience. You can really kind of feel that they’re around. I really like how this project helps the elephant, as well as the villagers at the same time. The staff really wants to bring the ‘natural balance’ back and the way they do it is great. The more physical activities like Project Orange Elephant are satisfying, because you can see who you’re helping and hear the stories why you’re helping. Not all activities are equally interesting, but I’ve enjoyed walking around in the small villages, paddy fields and wilderness nonetheless. I have had amazing weeks here and I’m curious to see the future projects of the Sri Lankan Wildlife Conservation Society! I spent two weeks with the SLWCS and was super impressed with the organization. The field house is situated in a stunning location overlooking a lake on one side, with spectacular views of the Knuckles Mountain Ranges on the other side. The staff were friendly, knowledgable and passionate and made every activity both enjoyable and educational. For an experience of successful and real conservation work I would 100% recommend volunteering with the SLWCS. This is a great program that truly helps to preserve wildlife in an innovative and natural way. The staff work incredibly hard to collect their research and on the maintenance of different projects. Staff are very kind and knowledgeable and also very willing to share their knowledge with you. They are well respected by the locals and carry out their projects on a large area of the land. They are always looking for new ideas to preserve the wildlife, and the projects they’re currently working on are interesting and new. Also, the food they serve is homemade and delicious. It’s been a great experience – very satisfactory to be involved in research-focused activities. So we loved the bird monitoring, dung analysis, etc. Mahinda’s food is fantastic – great to have traditional/local cooking! Staff are all very friendly, helpful and knowledgeable. The trip to the national park was excellent and very good value! We enjoyed very much the film and the talk by Chandima after supper. Honestly I think the organization is pretty darn fantastic. Really happy I was able to see and experience the culture through the daily projects just by travelling throughout the countryside, especially the first day when we did the POE fence monitoring and were right in peoples backyards, and to truly get to see a less travelled area of Sri Lanka. The food is fantastic, I legit looked forward to every meal. The field house is in a great location and is super relaxed, which I enjoyed and it gave us great opportunity to get to know each other. I liked the downtime mid day because its so hot that I definitely think I’d have a hard time keeping up if we were busy with activities. I spent one week volunteering with SLWCS and was happy with the activities and setting. SLWCS is a great organization and showcases great innovation with limited means. The group I volunteered with was fantastic, which made the experience better! The staff are really passionate and really know their stuff. The field house is unique and very different from home, and was a little bit of a challenge adapting to – but after a couple days I could relish this unique living style! The breadth of activities was good and the work was fulfilling, although I will always wish I could’ve done more! Positive: decent facilities, great food, passionate people, wonderful scenery, very interesting projects (butterfly garden, elephant human conflict, EleFriendly school bus). Thank you for volunteering with the SLWCS! https://www.elephantea.com/wp-content/uploads/2019/02/ele1-1.jpg 723 1024 Ron Atapattu /wp-content/uploads/2017/09/logo-1.png Ron Atapattu2019-02-20 08:33:022019-03-18 07:15:44Our First Volunteers of the Year Gives The SLWCS a Thumbs Up! Decades ago in Sri Lanka to encounter wild elephants on the road was an exciting and exhilarating experience. Vehicles would park at a respectful distance and watch the elephants in silence until the elephants gradually moved away from the road. It would be a rare person who would be brave enough to drive past the elephants in a car that could barely reach 20 miles/hour on those roads at the time. Fast forward to now and the elephants on the road have become mere caricatures and an insult to their long ago majestic and awe inspiring cousins. Until a few years ago the begging elephants were almost bulls. Now even female elephants and their young have taken to begging on the roads. There is no doubt that eventually entire herds will get used to this demeaning and disgraceful habit. Herds are already getting habituated to face such a situation. Garbage dumps which were always visited by bull elephants are now attracting herds with young calves as well. Once they get used to eating garbage it is just a small step to wait by the roadside for hand outs from vehicles. And it has started to happen. …begging for food by the roadside. This is a cow and its' calf. Next it would be entire herds. Unprincipled people who are indulging in this shameful activity are basically vandalizing the wild essence and spirit of the wilderness and the wildlife of Sri Lanka. The Department of Wildlife Conservation must come up with a concise management plan and with the help of the police and military forces implement disciplinary actions to stop these vandals from destroying the wilderness and the wildlife of our country. A strict set of huge fines and penalties on the drivers of these vehicles will soon put a stop to such vandalism. A magnificent animal is now a beggar. We need to take action now to stop this vandalizing of our wild. Please write to the government officials listed below asking them to take steps to immediately stop this disgracing of a majestic animal and turning it into a derelict symbol of our wildlife. Share this post and encourage as many people to campaign to get this feeding of wild animals by the roadside stopped immediately. Let's request these officials to make feeding any wild animal that is not in need of succor legally categorized as vandalism and efforts made to punish severely the drivers of these vehicles. Otherwise, wild animals begging for food by the roadside could end up being the only wildlife experience and spectacle left in Sri Lanka for wildlife lovers traveling on our roads. Phone: +94 11 234 1066, +94-11-204-5700. What we are in danger of loosing. https://www.elephantea.com/wp-content/uploads/2019/02/elephant.jpg 683 1024 Ron Atapattu /wp-content/uploads/2017/09/logo-1.png Ron Atapattu2019-02-12 04:50:432019-02-12 05:48:24Feeding and encouraging elephants to beg on the road in Sri Lanka is vandalism committed on our wildlife! Forty years ago Dr. George Michael van der Poorten set out to create a butterfly haven in his property in Rambawewa, in the Northwestern Province of Sri Lanka. What Dr. van der Poorten has achieved since then cannot be described in a sentence or two…you need to write a whole set of volumes and produce a series of documentaries about it as well. But to give just a sense of it, when he started to create butterfly friendly habitats in his coconut estate there were about 20 species of butterflies present. Today there are more than 125 species! The flutter Michael set in motion way back in time had now rippled across nearly 40 years of time and space and through a process of osmosis has resonated in two organizations, Spa Ceylon and the Sri Lanka Wildlife Conservation Society (SLWCS) to take up butterfly conservation. The amazing fact is, the SLWCS did not even exist at the time when through his efforts Dr. van der Poorten set a Butterfly Effect in motion. Unknowingly but probably in response to the subtle and sublime vibes set in motion by Dr. Poorten, in 2013 the SLWCS decided to create a butterfly garden at its Field Operations Center in Wasgamuwa. However this project never got off the ground and in 2017 the Society made renewed efforts to initiate the project. Meanwhile in 2018 independent of the SLWCS' efforts Spa Ceylon the prestigious house of luxury Ayruvedic personal and body care products had decided to sponsor a butterfly conservation project. Forty years after Dr. van der Poorten’s inspired moment to set in motion a flutter of hope for butterflies at his estate – it seems synergistic events had brought the SLWCS, Spa Ceylon and Dr. van der Poorten into a collaborative effort to save the beautiful flying jewels, the butterflies of Sri Lanka. January 18th 2019. Turning off from the main Puttalam Road we drove through the main gates of Dr. van der Poorten’s estate and headed down a long and dusty unpaved drive way. The entire area looked very dry and parched – so it was hard to believe that soon we will be in a butterfly haven when just finding a torpid grasshopper in these conditions would be a tough assignment. But we were definitely in for a huge surprise! Dr. George Michael van der Poorten is “The Butterfly Expert” or in the jargon of Zoology the most eminent Lepidopterist of Sri Lanka. While I have known about him for ages this was the first time I’m meeting him. Only yesterday I had managed to find Dr. van der Poorten’s contact information and had called him a bit hesitantly not knowing how my request for assistance would be received since it was coming out of the blue from an unknown person. I need not have worried—I was immediately invited to visit his estate the following day and provided with directions to get there. So here I am about to meet the doyen of Sri Lanka’s butterflies, Dr. George Michael van der Poorten and his equally knowledgeable and lovely wife, Nancy. Spa Ceylon that had supported our Project Orange Elephant in 2017 contacted the SLWCS last year to inquire about a butterfly conservation project. As a result of the ensuing discussions, Spa Ceylon committed to support a butterfly conservation project and the reason for my visit to Dr. van der Poorten’s. It was a case of—if we are going to create a butterfly sanctuary, then this time let’s get it right from the very beginning! Immediate we met it was hard to miss Michael’s deep passion for butterflies which radiates in every direction, and his energy and enthusiasm was boundless and infectious. Just keeping up with him was like running behind a weaving butterfly. He was the proverbial fount of knowledge, and this knowledge gushed out in torrents that I wished I had not paid attention to those long ago gender biases and learned Pittman’s shorthand. Not since my university days have I had to take down so many notes. When I look at the notes I had written – just the list of plants and trees alone was astonishing. …it was like going back to university. While I was with Michael learning and absorbing information on butterflies, Chandima, Akila, Nisali and a team of volunteers were working to prepare the land at our Wasgamuwa field center where we planned to establish the butterfly sanctuary. We couldn’t have selected a more auspicious day to initiate the project especially to have Michael provide advice and suggestions to the team over the phone as they worked. My first visit to Michael's and Nancy's would be some of my most cherished memories. The welcome and the warm and sincere hospitality that I enjoyed and the generous uninhibited sharing of knowledge, experience and even resources I received. Our Land Rover when we left looked like a veritable roving greenhouse—filled with plants, seeds, and cuttings of various species of plants and vines that provide food for caterpillars and nectar for adult butterflies. Michael’s and Nancy’s largesse was awe-inspiring and made one feel so very special. I went to get advice and maybe some suggestions and tips, but left with so much more it is hard to quantify, and most importantly knowing that our butterfly conservation project would have Michael’s and Nancy’s unstinting support and help. The territorial waters of Sri Lanka are rich in marine species. Yet there is very little information available about Sri Lanka’s vulnerable and endangered marine ecosystems. The SLWCS’ newest research and conservation initiative, the MaRINE Project, is both critical and timely. These are exciting times at the Sri Lanka Wildlife Conservation Society. We are in the midst of launching several new research and conservation initiatives. Among these exciting happenings is our Butterfly Conservation Project that is being launched with the support of Spa Ceylon (watch for more information about this project) and our Marine Resource-conservation Initiative for Nature-based Enterprise better known as the MaRINE Project. The MaRINE Project will be based in the Kalpitiya Peninsular in the Northwestern Province in the Puttalam District. The project will focus on both brackish water and marine ecosystems in an effort to understand the synergies, correlations and codependency between these two environments to make Kalpitiya one of the most biologically diverse marine ecosystems in Sri Lanka. The Kalpitiya-Karaitive-Puttalam Coastal Wetlands Complex includes the Puttalam Lagoon, which is the largest inland brackish water body in Sri Lanka. The Puttalam Lagoon was identified as a wetland of international importance and listed in the Directory of Asian Wetlands in 1989. This vast combined marine and lagoon ecosystem and region is home to a rich biodiversity, culture and history. The coastal waters are teeming with marine mammals, fish, marine reptiles, and crustaceans. There are bar reefs just off the coast and a chain of remote off shore islands unique in their own way. In the lagoon there are huge mud crabs, tough barramundi, quite and inoffensive dugongs, and the colorful pink dolphins and much more. Kalpitiya is critical stopover for migratory birds along the Asian Flyway and during the winter season the coastal beaches, mud flats, and lagoon is a quivering flitting flying mass of avian visitors – a birders paradise. Heading our MaRINE Project will be Ms. Ruvini Weerasinghe, a young scientist and graduate from the Zoology Department of the Jayawardenapura University currently reading for her M.Phil in Marine Biology. Her research includes marine biodiversity, coral reef ecology, marine chemical ecology, invasive species ecology and marine pollution. Eventually Ruvini will be joined by a team of research and field assistants, volunteers and support service staff. We have set up our operations center at the Marist Nivasa in Kalpitiya – an establishment belonging to the Marist Brothers. They have a very nice facility which they have very kindly allowed us to use to initiate our field research and conservation projects and the volunteer program. Our brand new research craft, The Dugong __is being completed at the Neil Marine Boat Yard in Thaladuwa, Negombo. We have also acquired to two 15 foot canoes to use in the shallows of the lagoon to conduct research and conservation work on mangroves and various brackish water fish, crabs and other fauna that depend on the mangroves ecosystem for their survival. Please watch out for further information on our MaRINE Project.